Driving from Austin, we drove longer than planned. 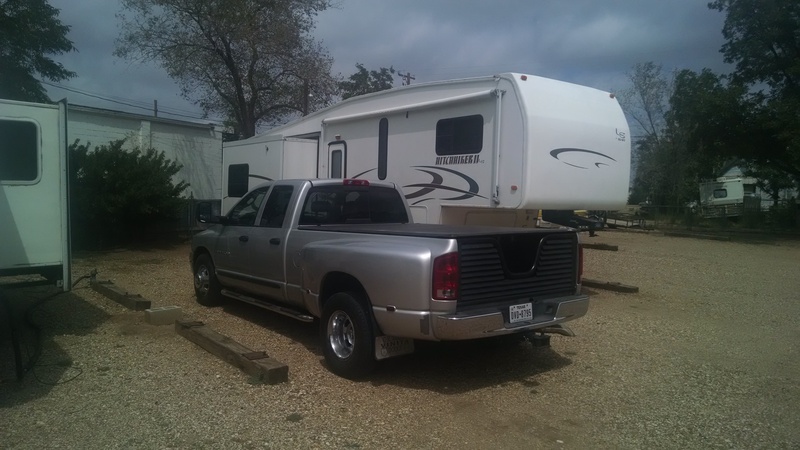 We originally planned to stop in Sweetwater, Texas for an overnight but, we found that the RV Parks were full of what appeared to be residential RVs, with little or no space for travelers. The offices were closed and the nightly charges high for few, if any amenities. We passed on through, deciding to search further. We continued on northwest on Highway 84 into Post, Texas and found two RV Parks that might do. One was a city Park on a gravel lot near the water treatment plant and railroad tracks, the other, Woods RV Park was just north of downtown. It had only six spots, but one was available. It was an easy back-in for Phil, the owner was friendly and the price agreeable. We found a place called Georges BBQ for dinner and rested after the long drive. We had only planned to stay the night, but once we got around in the morning and had a quick look at the wide brick streets and neat green parks, we decided to stay another couple of nights to check out this quaint little city. 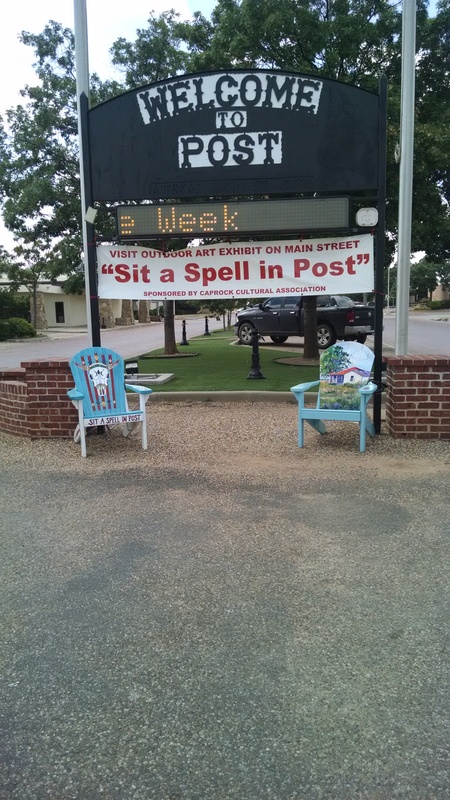 We walked the two blocks to downtown visiting the Chamber of Commerce Visitor Center, the OS Art Museum and the fine quality shops and found that the historical story of Post is significant. The brick streets are wide with trees lining the middle, there are places to :sit a spell” in the shade and old fashioned street lamps to light the way after dark. This is truly a step back in time, but a place that is vibrant today and building for the future. Formerly called Post City, has a population of 3308. First off, our park spot is just across the street from the “Post House” the Post City home of Charles William Post of the Postum Cereal Company. The company that manufactured the coffee substitute drink, Postum, Post Grape Nuts and etc. It is a charming little rock home, still occupied by its’ present owners. According to the Chamber of Commerce Visitor’s Guide, C.W. 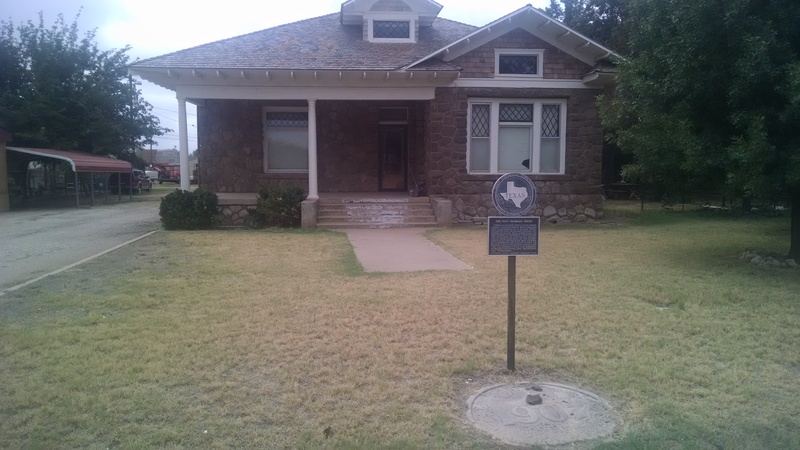 Post founded Post, Texas in 1907 as a “Dream City”. He purchased a beautiful segment of land where the head waters of the two arms of the Brazos River join to outline the scenic caprock escarpment Llano Estacado (the geographical transition point between the level high plains of the Llano Estacado and the surrounding rolling terrain) from the OS Ranch to design and build what was once called Post City. The locals say that C.W. left his Post Toasties out east, but brought his money here. He dreamed of a city where the citizens’ lives are enriched with cultural offerings. Post continues to offer this with its’ two fine art museums. We especially enjoyed spending the afternoon with Marie Neff at the OS Museum of Art donated by the Giles C. McCrary Family. The vast collection of worldwide art is seasonally rotated and is located in the former general office of C.W. Post. Still standing and restored are most of the downtown buildings that were built between 1907 and 1934. I was told that the Christmas season is exceptional with parades, craft sales, decorations and festivities that last into January. I also learned that Post draws their clientage from an 80 mile radius. Texas is indeed a big state. Post has its own city/county local newspaper, downtown library and a second museum available for viewing when funerals are not being held. The museum does dual duty. 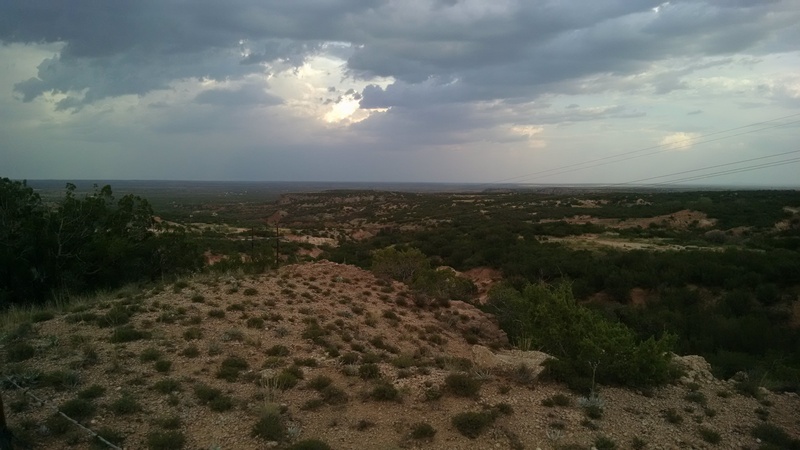 We were encouraged to drive the Ranch Road 669 to observe the change in geological plains verses the mountainous terrain (the caprock escarpment Llano Estacado). We were pleasantly surprised and drove it during the afternoon sunset time. 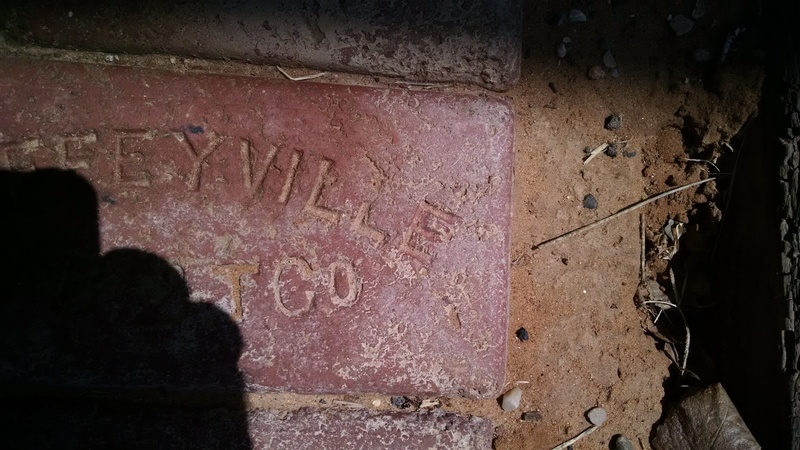 This short scenic drive still reflects C.W.’s plan to provide a home for cattlemen, lots of oil and fruitful cotton fields and is a witness to his success. We were fascinated and have vowed to get a new camera. Scenes like this are too beautiful for a cell phone camera! We found the Post residents to be delightful. They were friendly, polite and helpful. They are proud of their town and eager to point out its attributes. Yes, Post was a surprise for us, and we enjoyed every minute of our stay. This was our first stop on the way to more touristy attractions that will likely be breath-taking, crowded and expensive, but stops like Post City give us pause to appreciate the lesser known specialties of our great country-side and a chance to rest and recoup while traveling. Wow, this serendipitous life is wonderful!